To begin the website translation� process, you may request Free Quote. 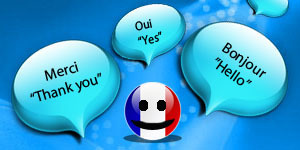 Quality certified French translation services is using only qualified and experienced native speakers. Every document we translate is completely proofread by a second French translator at no added cost to you. First of all, the French translator should be aware of standard French or "Parisian" French that is very well understood throughout the French-speaking world and is commonly used in French translation. We provide high quality French to English and English to French Translations in all fields below.